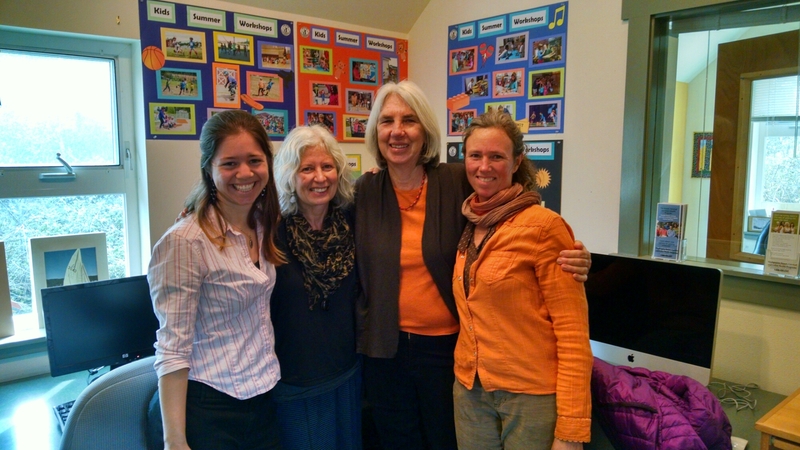 Over the years, Lopez Island Family Resource Center Executive Director, Celia Marquis, has been asked, “What does the LIFRC do?” A better question to ask might be, “What doesn’t the LIFRC do?” This week I met Celia, Patsy Haber, Susie Teague, Heather Gladstone and Alaya Battalia at the LIFRC in Lopez Village to find out. At its core, LIFRC is a safety net for Lopez families. Among the many things they offer families is Lopez Fresh, a no-sign-up-required food bank stocked with fresh fruit, vegetables, dairy, and other perishables – open 24/7 for anyone in need of food. Lopez Fresh is a donation and pickup site for the Grow-a-Row program, which encourages local farmers to donate fresh, locally-grown produce to those in need. For example, Doug Benoliel and Tamara Buchanan of The Sweetbriar Farm donate well over a third of their vegetable crop to Lopez Fresh. 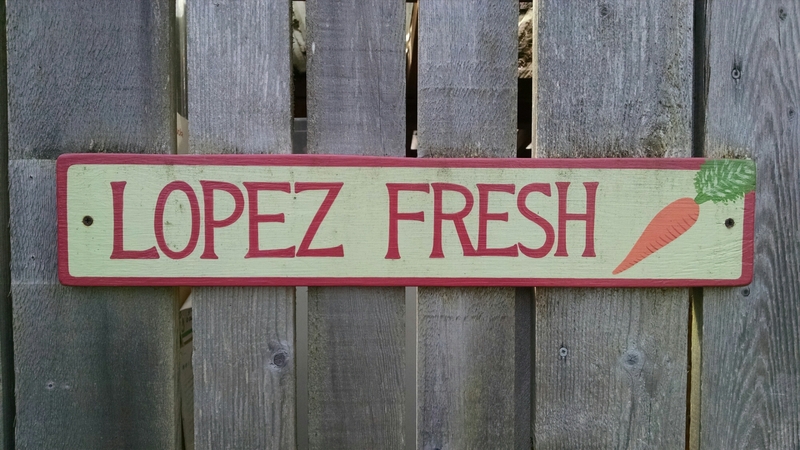 Lopez Fresh helps feed dozens of families on the island. And that’s just one of the ways LIFRC helps. Besides food, they also help families with the cost of energy, individual and family counseling, and employment and life skills classes. Last year, LIFRC helped 130 people get set up with Washington Apple Health. 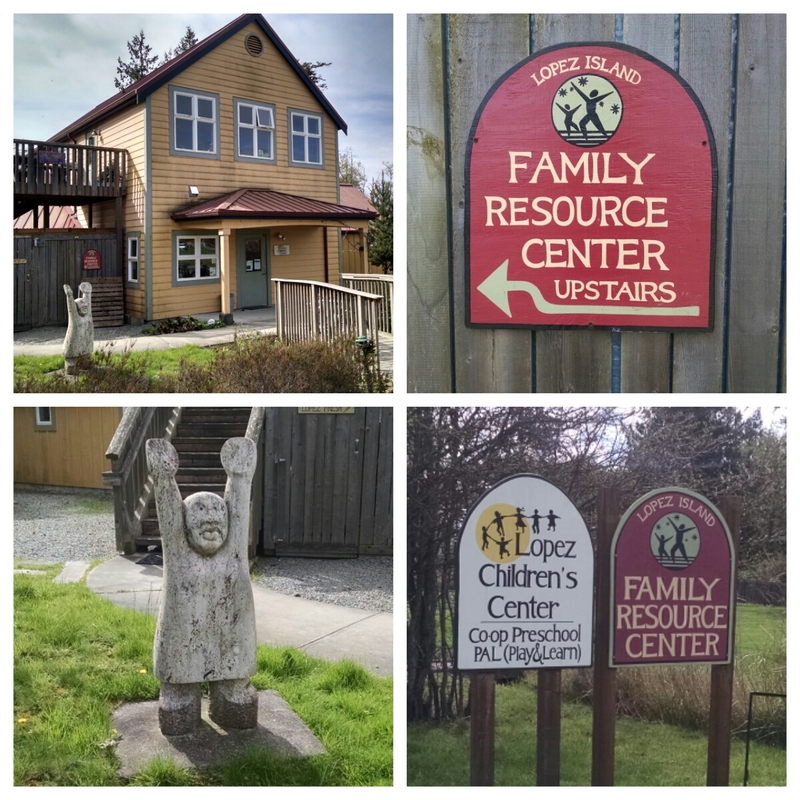 Patsy Haber, who is responsible for managing the myriad programs for LIFRC, told me that “the best way to support families is by strengthening them.” And that usually takes the form of working with kids. LIFRC does that in so many ways. The most powerful way is probably their Mentor Program, which matches kids with adults who can spend time with and guide kids through the challenges of growing up. Many of these mentor-mentee relationships last years beyond the official length of the program, with some mentors even helping to pay for college education of their mentees. LIFRC coordinates about 16-20 mentors at one time, and they’re always looking for volunteers interested to join in the program. While I was at the LIFRC offices, Susie Teague, who manages the Primary Intervention Program (PIP), showed me their conference room, which doubles as a playroom twice a week. 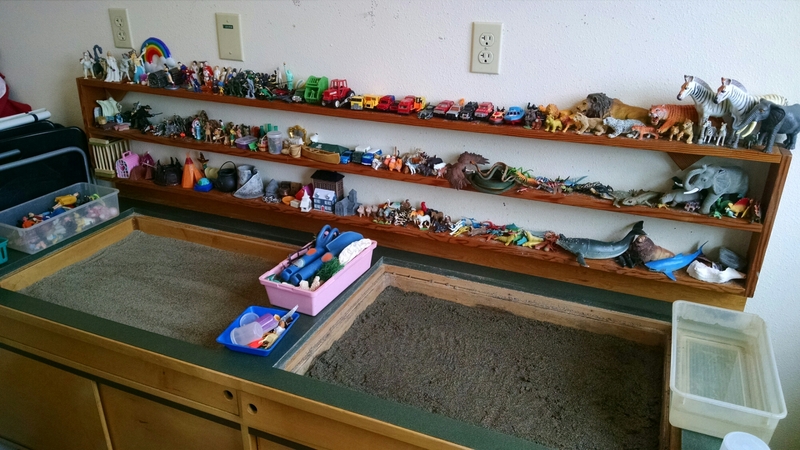 PIP is a therapeutic play program where Lopez Cooperative Preschool students referred to the program spend 30 minutes in the playroom once a week – playing through situations related to social and emotional skills. I kind of didn’t want to leave that room. The program that probably touches the most Lopezians is the Summer Workshop program. This is where you really get a sense of the diversity of resources that Celia talks about. Last summer LIFRC offered 88 different workshops, which attracted more than 700 participants. Perusing the list of classes confirms that there is something for all ages and almost every interest: Faeries in the Forest; Pirates Life for Me! ; Lego WeDo; Make your Own Movie; Fun Felted Critters; Get Your Hands Dirty with Clay; Japanese Food; Seafaring Voyage; and, my favorite, Electric Glowing Wrist Bands. New in 2015 will be Girls Circus Camp. The full list for this year will be published in mid-April. I strongly encourage you to check it out. The Summer Workshops inspired the launch of yet another invaluable LIFRC program: Employment and Life Skills. This is a year-round program, which provides group or even 1:1 instruction on everything from computer skills to how to do your taxes. Since the first small business class taught by Jamie Stephens in 2007, this program has assisted more than 1000 individuals. Last year, the program offered more than 50 classes. And it has spawned small business mentoring groups, which meet regularly to share ideas, get feedback on their work and generally support each other. Some of these groups have now been meeting for years. So, yeah, what doesn’t LIFRC do? What I’ve summarized here barely scratches the surface of what this incredible community resource offers. The individuals I met this week are doing amazing work, but Celia made it clear that it is the hundreds of Lopez volunteers that make all of these programs possible. In her last newsletter, she said, “I think of Lopez as a microcosm of the world.” After spending some time at LIFRC, I think of this organization as a microcosm of Lopez, which is a place where people care deeply about their community, look after each other, and – when they see a need – rush to answer that need.